The Soap Story Blog – Page 2 – Experience Soap Like you Never Have Before! Kind words from The Gift Shop Hub! Gift Shop Hub is a friendly resource centre for independent shops, businesses and artists. They kindly put together an interview with us! 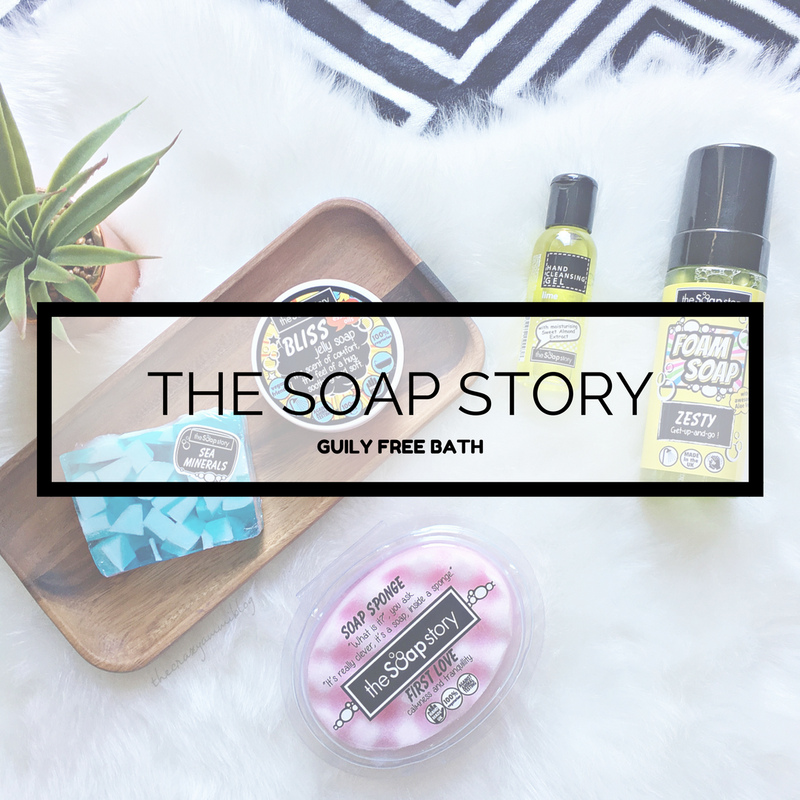 “Gift Shop Hub first discovered The Soap Story at the Spring Fair, the UK’s No.1 gift and home trade show for the retail industry. There are many factors to consider when choosing which new products to stock in your shop. Price of course comes into play but more than often you’re just looking for something different. Gifts that will make your shop stand out. The Soap Story’s wonderful soaps have that wow factor. The presentation is excellent with the cute animal and trifle soaps packaged in their own individual plastic cases. The soap slices not only smell divine but also are packaged individually too with great fun labels. Nice packaging adds to the value and makes the soaps an easy gift option. We expect the Frog and Duck soaps to be especially popular for birthdays and Thank You Teacher presents in our shop Wishes of Cudworth. 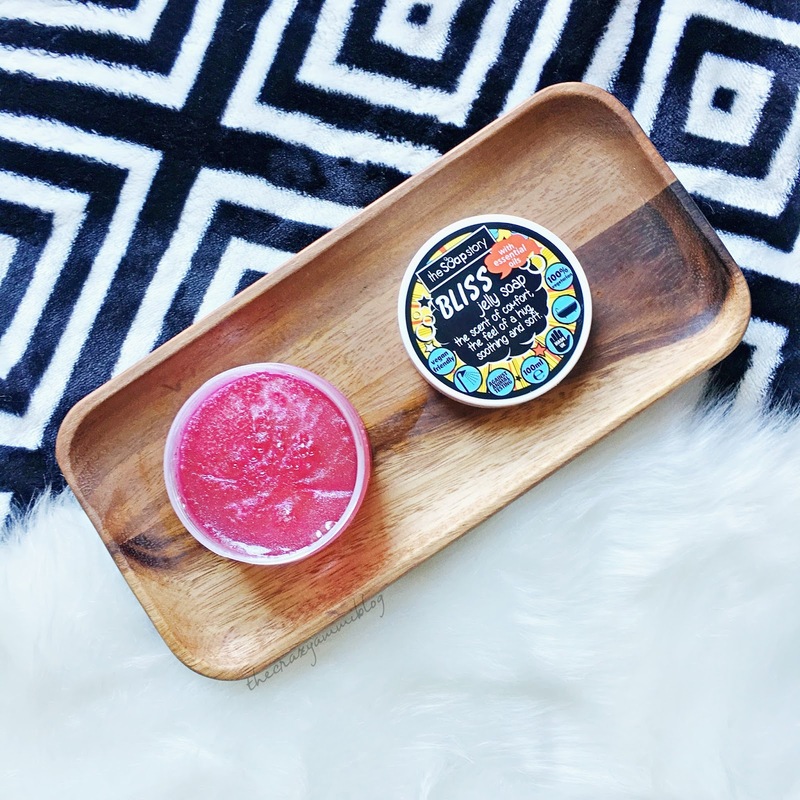 We’d like to say a massive thank you to The Crazy Ammi Blog for their lovely review of our products, check out the full story bellow! I love taking baths. There ain’t no denying that. And when exciting bath products accompany, you will find me in the bath tub all day long. So when The Soap Story sent me these products, I literally jumped in the bath before my son could call dibs on it. Their products are cruelty free, 100% vegetarian and most of them are Vegan. So how much of your bath time is guilty free? And don’t get me wrong, I love Lush. I am a huge Lush fanatic, but I think I am going to be a convert to The Soap Story. They’re a breath of fresh bath (see what I did there?) from the same old Lush products. The box came in with a small personalise note (I love brands that do that) and five products with such fun and creative packaging! 1. 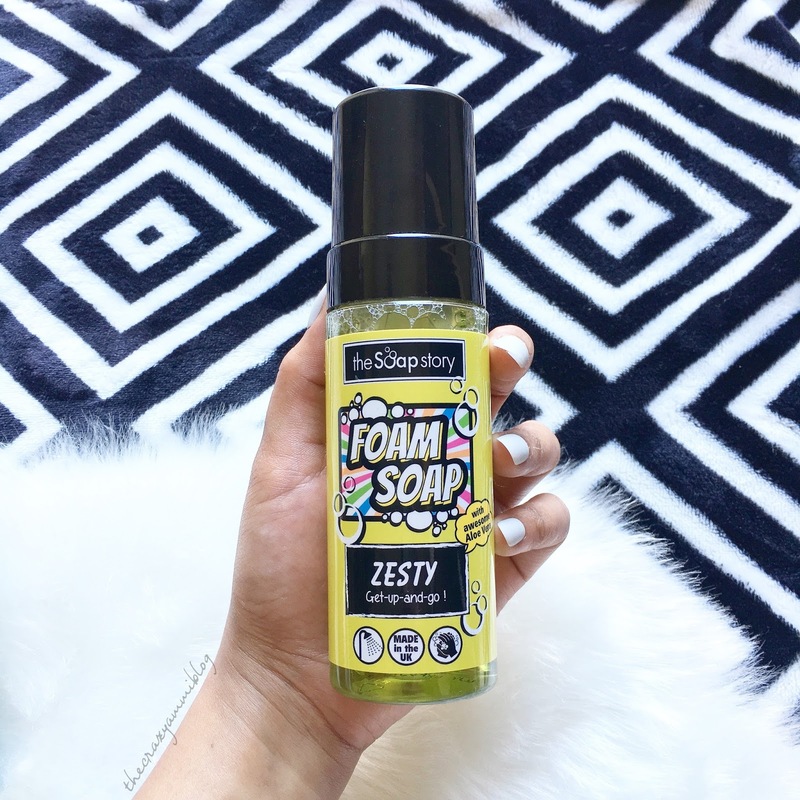 The Zesty Foam Soap. The sorcery with this soap is that, its liquid, right? BUT when you pump it out, FOAM dispenses in your hands! MAGIC, girl, magic. Personally, I love how the smell literally wakes you up and brings life to you! You can wash your hands, lather it all over your body, join a foam fight, whatever. Also, it has aloe vera in it, so don’t worry about maybe having crocodile skin? 2. Soap Jelly or Jelly Soap, however you like it. This is my FAVOURITEST product ever. I just can’t stop squishing it! But I can’t place a finger on the scent. I know it smells like one of the perfumes my mum used to spray when I was a child. And it brings back so many memories, I love it. You can use it as a soap, or just chop it into pieces, place a few bits in a small sieve and run it under water to make a bubble bath. And did I say it smells divine? Now this was totally new to me! Whaaaat? Soap and sponge together? Run it under water to soften it and then use it all over your body. Again, you WILL smell edible! I personally love to lather it all over and then use a loofah to get in more scrubbing. The scent, again reminds me of bitter sweet childhood memories and I just want to go back in time. Can I though? Personally, I am not a solid soap person at all so maybe I wasn’t to keen on using this product! But it smells great and your skin feels SUPER soft after using it! So its a win win situation anyway. I have a very very dry and irritated skin on my hands. Perks of washing dishes all the time. So ANY kind of hand gel I use, irritates my skin a lot. I have a huge collection of Bath and Body works hand sanitisers sitting in my drawer only because it just stings so much. But for some very odd but amazing reason, this did not irritate my skin at all. It was so smooth and easy on my skin! Even my husband commented on how ‘beautifully smooth’ it applies. Yeah, he’s kind of weird, if you ask me. So this little handy dandy (could I BE more British) bottle rests happily in my handbag always excited to be used. We’d like to say a massive thank you to The Opinionated Dad for his lovely review of our products, check out the full story bellow! Now let’s get down to business. I received a box on Saturday morning from the lovely Soap Story team. I didn’t expect it to arrive as quickly as it did. To be honest I didn’t realise they had sent it out yet. I opened the box with pure excitement as I didn’t know what exactly would be in it. To my surprise I saw my own face looking back up at me. They had included a personalised letter explaining what items are in the box. As you can see The Soap Story like to be creative, fun and bubbly. Did you see what I did there? Now for the big reveal. What did they send me? What do they make? Why does this box smell so good? As you can now see from the picture below they sent a wide range of amazing and colourful products. I couldn’t believe my eyes and nose. The smell coming out of the box was phenomenal. The smell was familiar, exciting, inviting and new all at the same time. Sunrise Foam Soap – A liquid that turns to foam at the push of a pump. Rhubarb & Custard Soap Slice – A nice slice of soap that already reminds me of the sweets. Chillax Jelly Soap – A wibbly wobbly glittery soap. 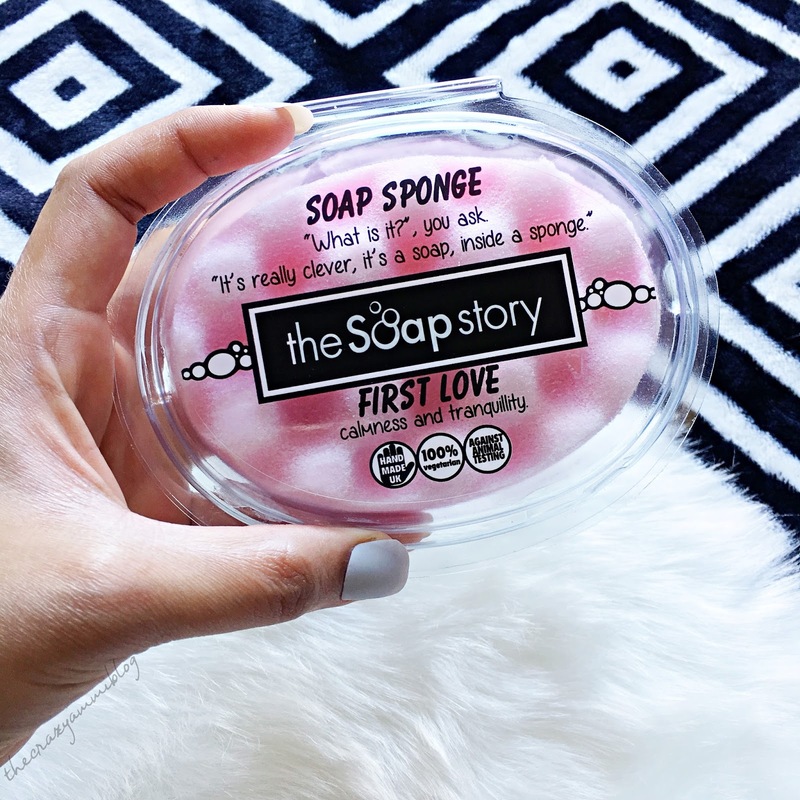 First Love Soap In A Sponge – It’s soap in a sponge. Who thinks of these? Sea Minerals Hand Cleansing Gel – A blue gel that cleans on the go. On first impressions these products seem unreal. Nothing like anything I have used before. Obviously I have used soap, don’t start thinking I never wash. I normally use shower gel though so this will be a great experience for me. The products are Handmade in the UK and most if not all of them are vegan friendly! No need to worry or feel guilty about using these soaps, they also don’t test on animals! Foam soap which is actually a liquid? How it that even possible? Turns out it is. Somehow these clever people at The Soap Story have managed to create the magical soap. I think they’re wizards. I’m surprised they didn’t send the parcel by owl. 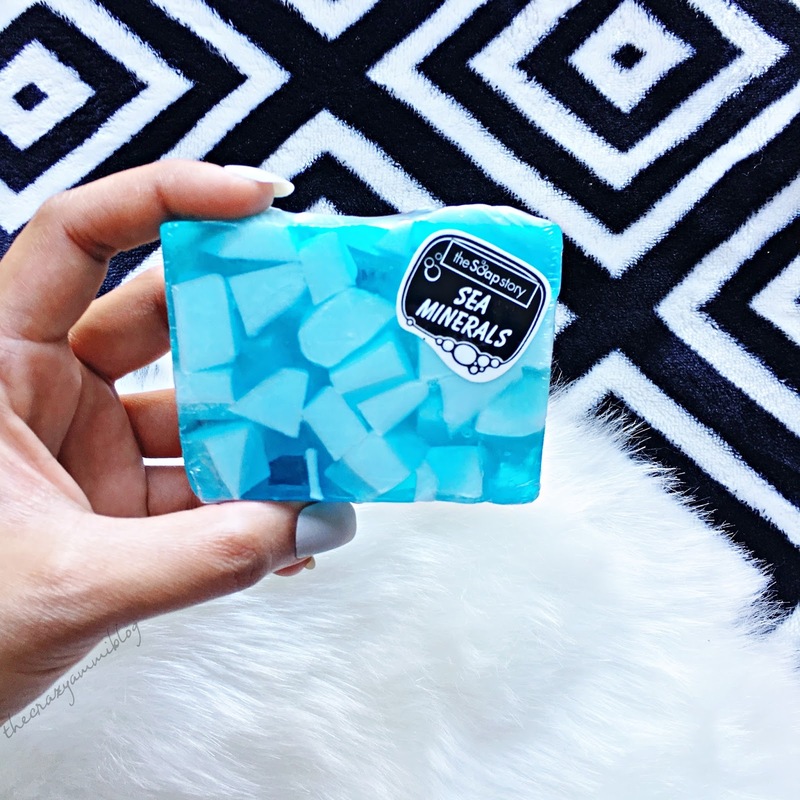 This soap is so much fun to use and my daughter loves it! She keeps asking to wash her hands now. As you can see this one is called ‘Sunrise’ it has a strong orange scent to it. I think it smells delightful. You can have some good fun with this foam soap. I even found myself messing around with it. You can use it in so many different ways. It can be a hand wash, body wash you can even use it to shave with (Think outside the bubble). We are using it multiple times a day and it we have used up about 1/3 of the bottle this week. I need to get some more soon. Umm, Excuse me?! There appears to be something in my sponge. Oh wait! It’s soap. Soap! What a creative way of doing it. No more rubbing the soap on a sponge and then re-rubbing when the suds disappear. This was the first soap I tried out and I must say I am really impressed with it. All you need to do is get it wet and start washing, no need to soap up first. The smell that comes off it is amazing. It’s like baby powder and reminded me of when Sophia was younger. Another thing that surprised me was how soft it is. As it starts to lather up the sponge gets really soft and makes it a pleasure to wash your sensitive areas like your face and *Cough*. 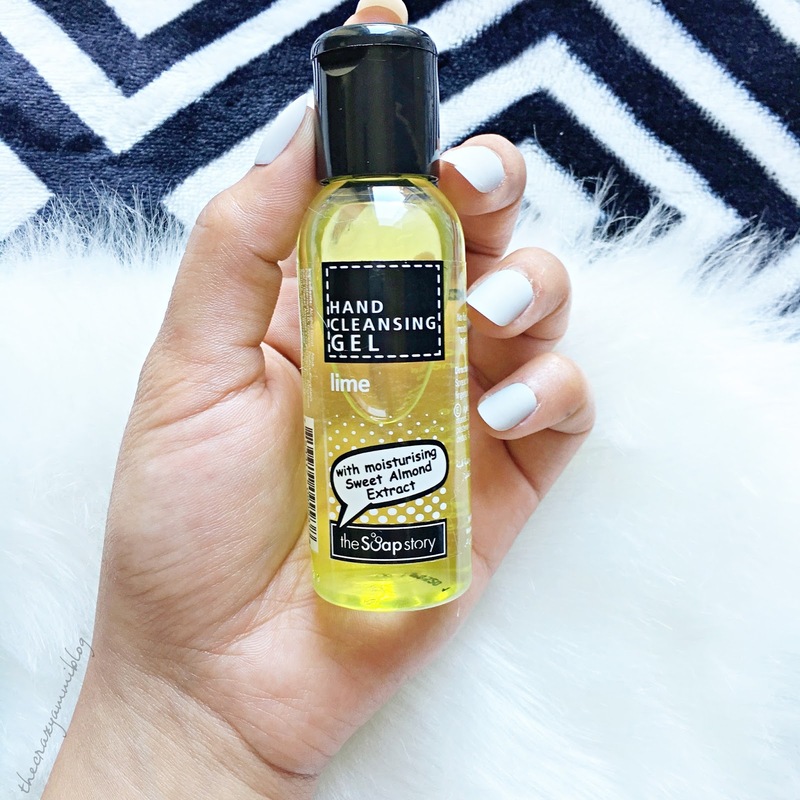 This hand cleansing gel is a great little bottle of blue niceness. When I first used it I was pleasantly surprised by both the smell and the feel. Most hand sanitizer gels leave my hands feeling dry once the gel has absorbed or evaporated away. This one actually left my hands feeling soft, hydrated and fresh. It didn’t even leave them greasy like moisturisers do either. The smell is strong and lasting. I keep smelling my hands after using it. Also, after using it and it’s rubbed in you can reactivate it by getting a bit of water on your hands. I don’t know how long after initial use this stops. In conclusion I think the smell of this Hand Cleansing Gel is targeted towards men, it smells like an aftershave. It looks cool with the deep blue colour and feels great when used. I will be getting more when this runs out . I like to take it everywhere with me. Forget “Throw Back Thursdays” this is “Sling Back Soap!” It will catapult you back to childhood, to a time when you ate Rhubarb and custard sweets. All I needed to do was open it up and the smell just hit me. I was transported back to sweet shop I used to go to when I was around 5 or 6. The soap looks great and smells great. I don’t normally like using bars of soap because they make my skin feel almost rubbery, I don’t know how to explain it. It’s like it’s sticky but it isn’t. This soap for me still did that but it doesn’t last long so with the delicious smell I would say It’s totally worth it. I had to keep reminding myself that it is a soap and that I shouldn’t eat it. But it smells soo good. Wibble wobble, wibble wobble. Jelly Soap! Now this soap was definitely fun. I opened it and as with all their soaps the lovely strong smell hit me and I was already starting to ‘Chillax‘. I took a photo then I had to do a short video so you can see how wibbly and wobbly it is. Sorry about the lighting, it was starting to get dark. This was definitely the most fun. As soon as it got wet it did become a little hard to hold and I almost catapulted it across the bathroom a good few times. There is a knack to holding it but I will keep that to myself so you can enjoy chasing it around the room. I followed the guide on the pot and I was away smelling nice and looking good. This would be amazing for children or for a parent after a long day looking after the kids. (It can be used as a bubble bath too) I didn’t because I do prefer a shower. So if you like the look of any of these then please take a trip to one of The Soap Story’s Stockists and get yourself some goodies (You deserve a treat) don’t forget to follow them on Facebook, Instagram and Twitter. Now go and get messy! Then clean again.